Stage Electrics has announced that it has been awarded a place on the fourth annual Sunday Times HSBC International Track 200, published with the Business section of the Sunday Times at the beginning July 2013 and currently available on the website. The Sunday Times International Track 200 ranks Britain's mid-market private companies with the fastest-growing international sales, measured over their latest two years of performance. It is a natural expansion of the Sunday Times International Track 100 league table, which has been published for the past two years, with the minimum sales threshold increased from £5m to £25m. 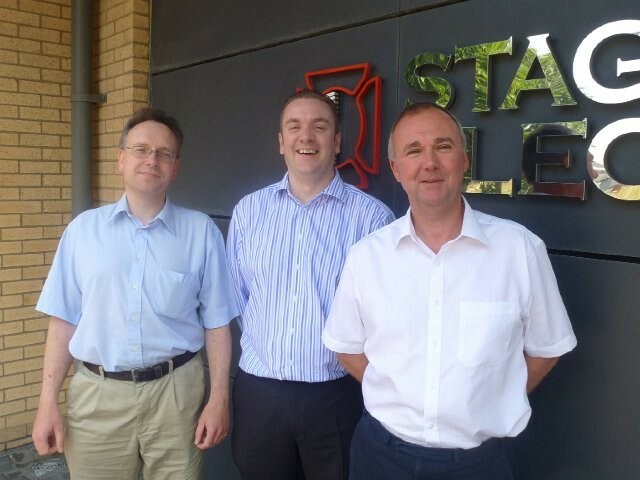 Stage Electrics is ranked 53 in the 2013 table, having achieved 77.7% annual international sales growth in excess of 2.3 million GBP between 2010 and 2012. "It is fantastic to be recognized in these rankings by The Sunday Times HSBC International Track 200." says Dan Aldridge, managing director, Stage Electrics. "Our decision to drive growth through international expansion is a key part of our business plan. Delivering exceptional service to customers in the UK and overseas has resulted in continually growing levels of demand. Achieving this ranking is a great endorsement of our efforts." The fourth annual International Track 200 awards dinner will be held at the Jumeirah Carlton Tower in London on September 17.